Bankruptcies are falling, multifamily real estate activity is in high gear, but low interest rates alone won’t get some other construction projects moving. 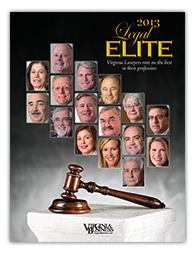 Those are some of the observations made by members of the 2013 Virginia Legal Elite, a group of 868 lawyers selected by their peers as leading attorneys in 16 categories. Virginia Business began publishing the list in 2000 in collaboration with the Virginia Bar Association. This year the magazine emailed electronic ballots to nearly 11,600 Virginia lawyers and provided a ballot on its website. All licensed lawyers in Virginia are eligible to vote. 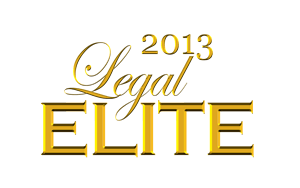 More than 1,200 attorneys participated in this year’s Legal Elite, submitting 3,348 nominees. Of those roughly a quarter made the final list. In the following pages, the magazine profiles a representative from each category. They are selected from the top 10 vote-getters in each group, but they are not necessarily the ones with the most votes. Lawyers who have been profiled in previous years were not eligible. In line with that good news, Thomas J. Colucci, a principal with Walsh Colucci Lubeley Emrich & Walsh PC in Arlington, says the Virginia real estate market is showing signs of revival, especially in multifamily residential projects. “The office market remains somewhat sluggish, and I would anticipate that may continue until there is a little more stability brought to bear on anticipated government spending,” he says. Robert K. Cox, chair of the Construction Practice Group of Williams Mullen in Tysons Corner, makes a similar point in explaining the influence of low interest rates on construction projects. “Low interest rates are but one factor in encouraging new construction and alone cannot kickstart construction spending,” he notes. In sum, the economy’s getting better, but we aren’t back yet.